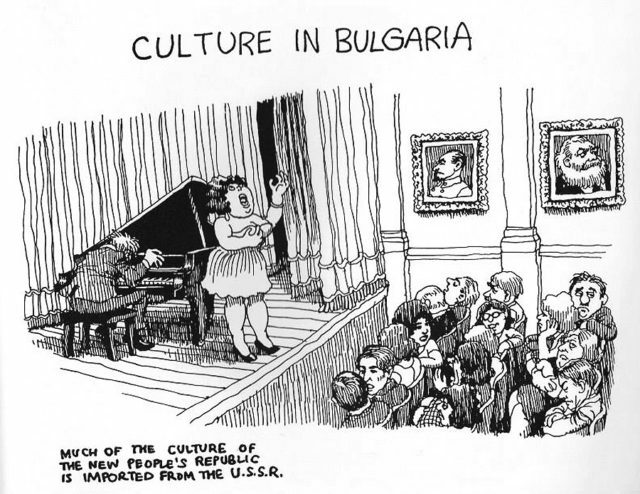 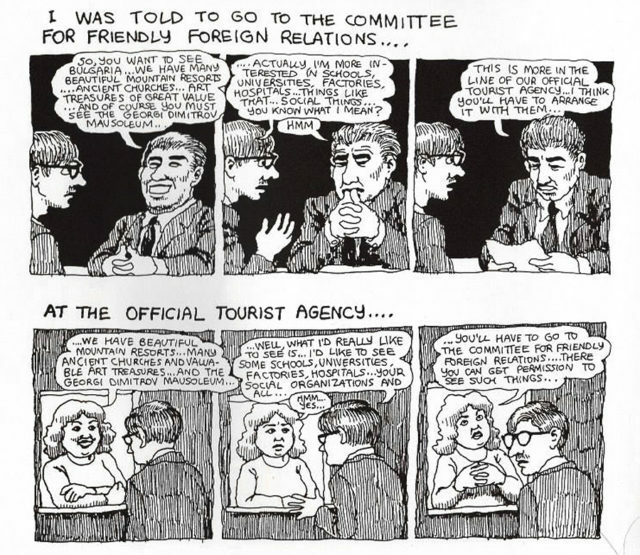 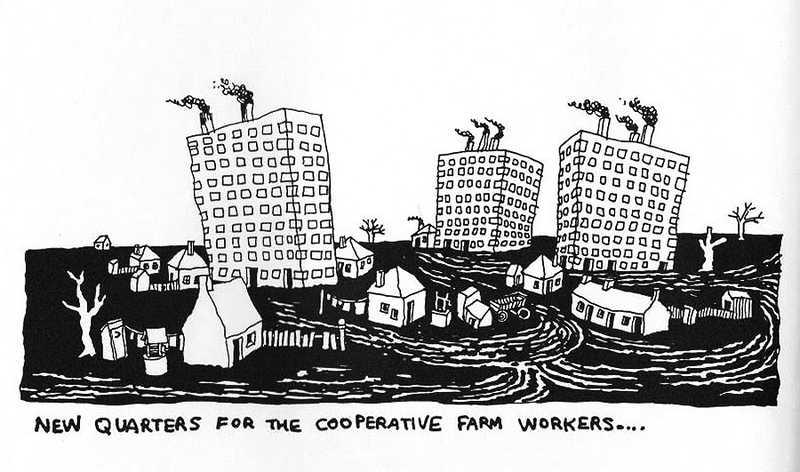 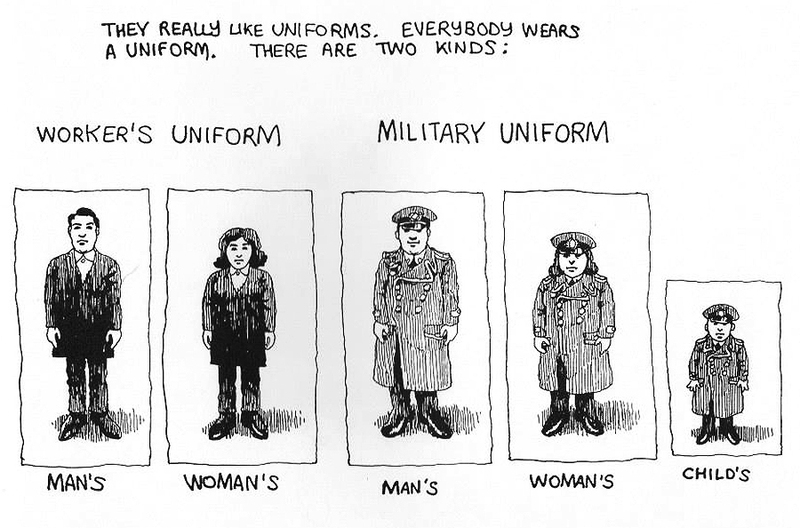 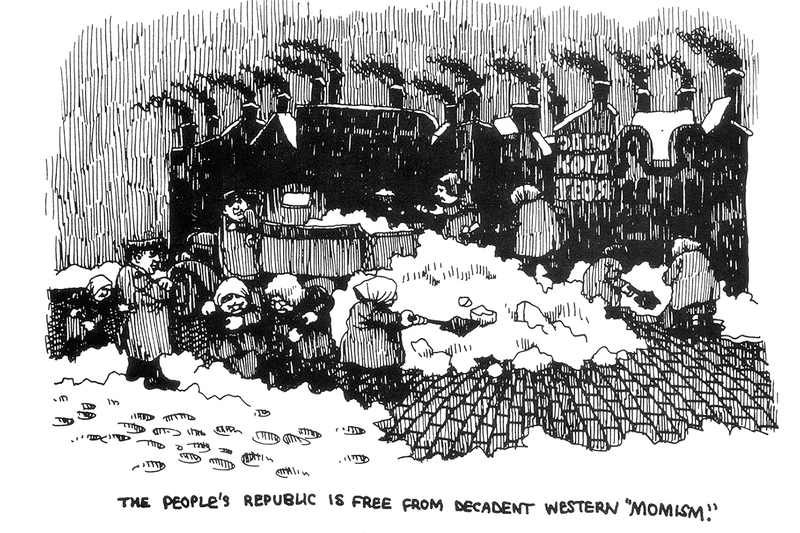 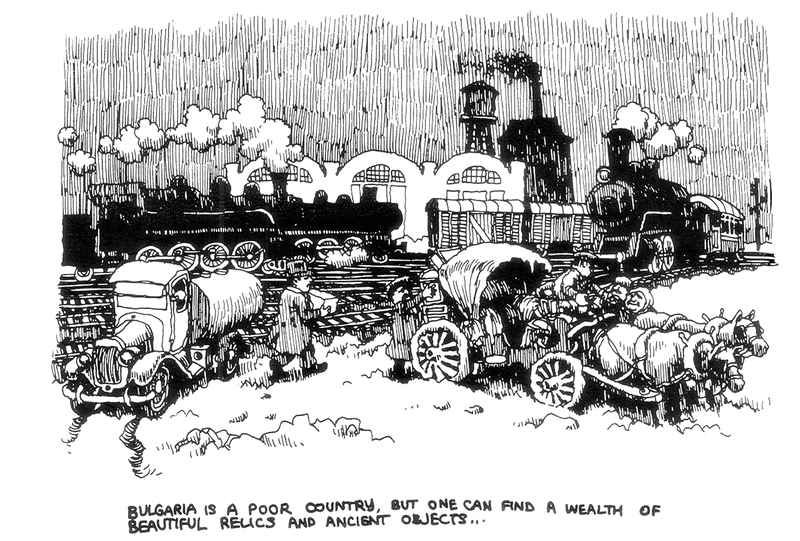 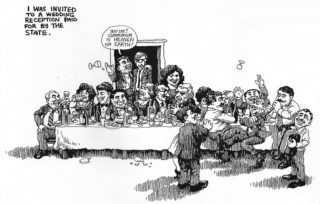 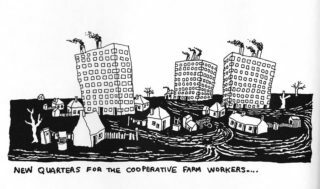 When Robert Crumb did Bulgaria. 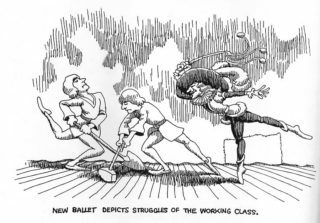 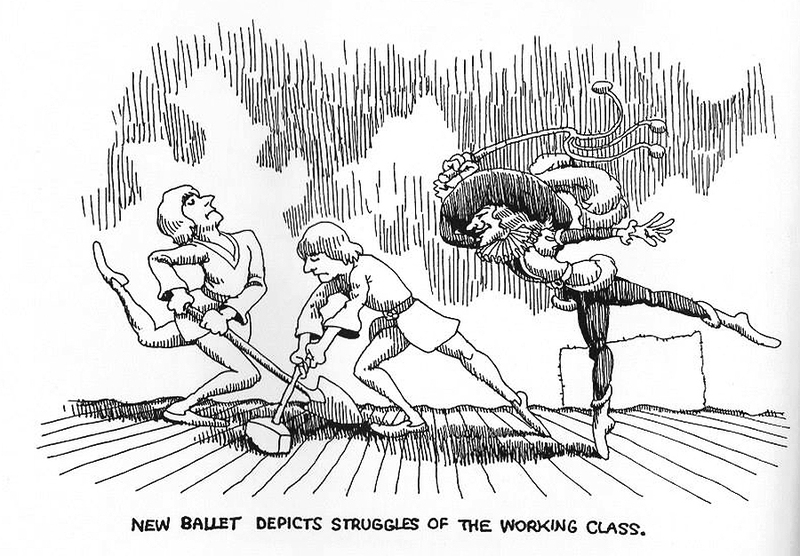 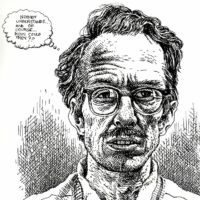 As an avid and early comic book reader, Robert Crumb was heavily influenced by the work of Harvey Kurtzman, creator of MAD Magazine and, more particularly Humbug, a short-lived experimental satire publication (1957-58). 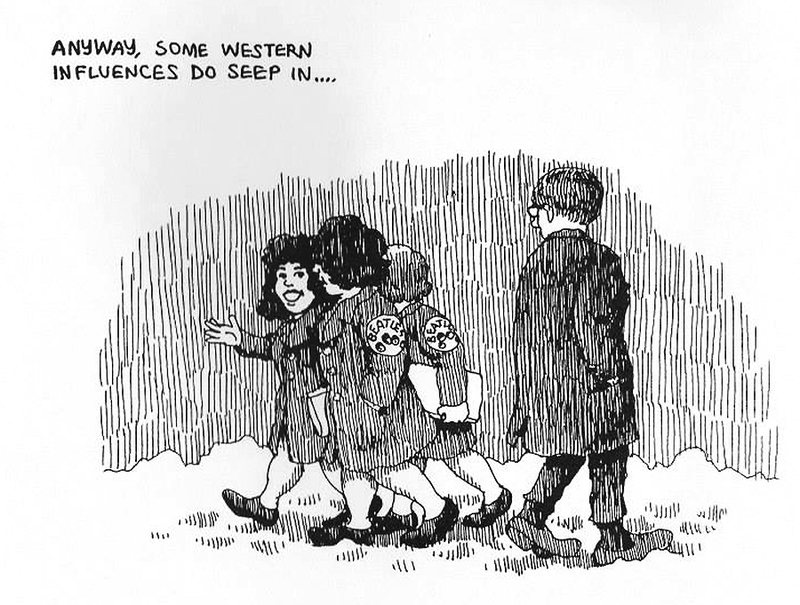 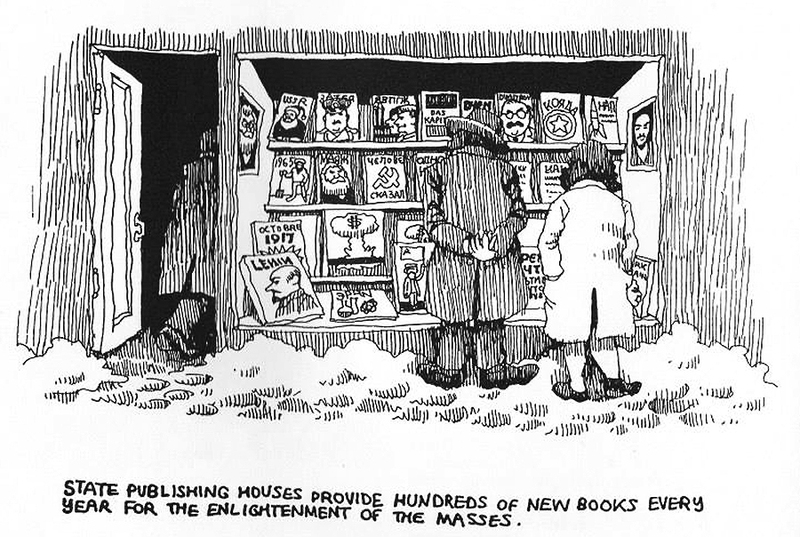 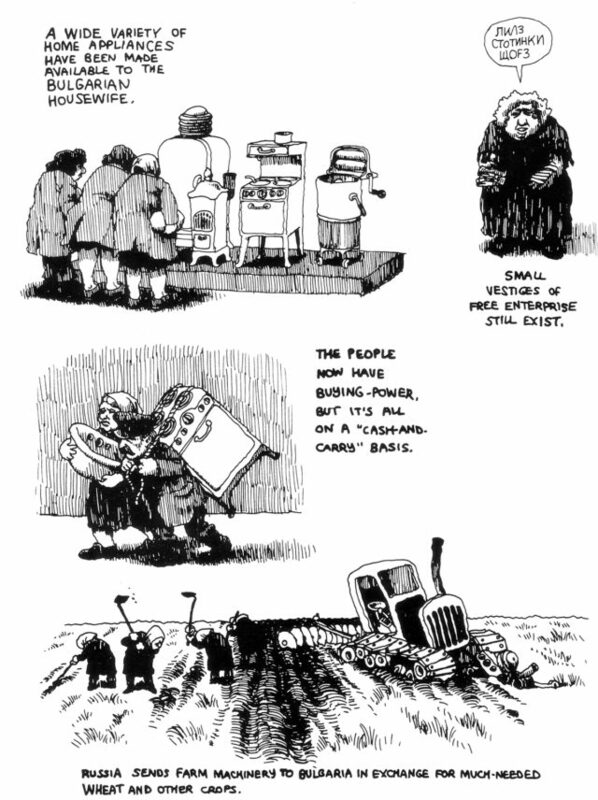 Anyway, by 1964 Kurtzman deemed Crumb good enough for his latest satire publication, Help!. 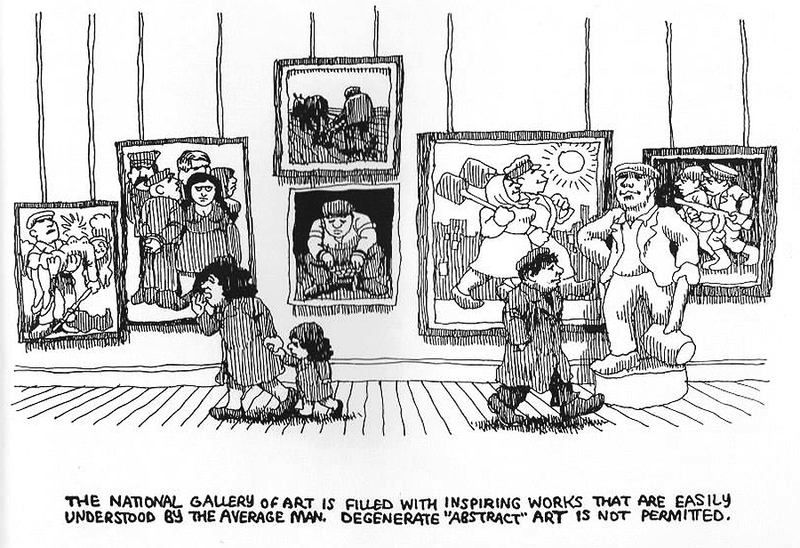 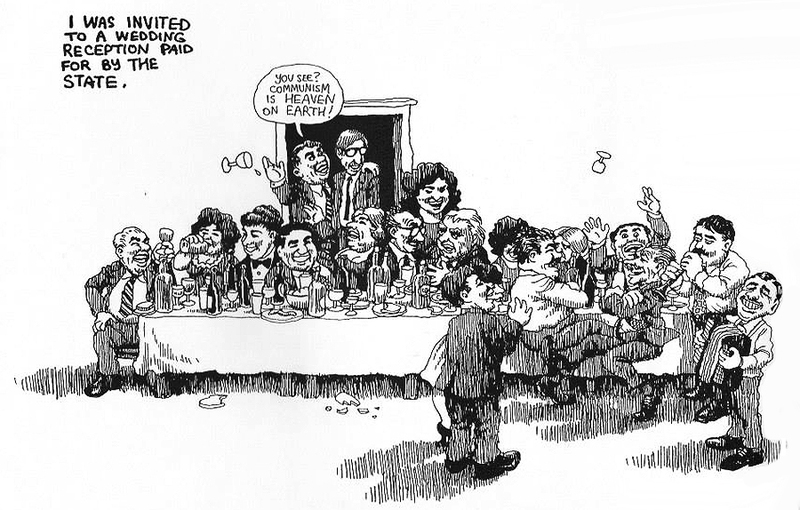 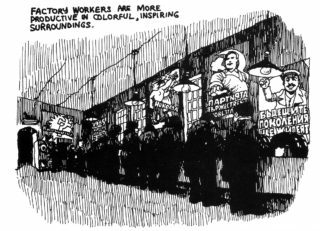 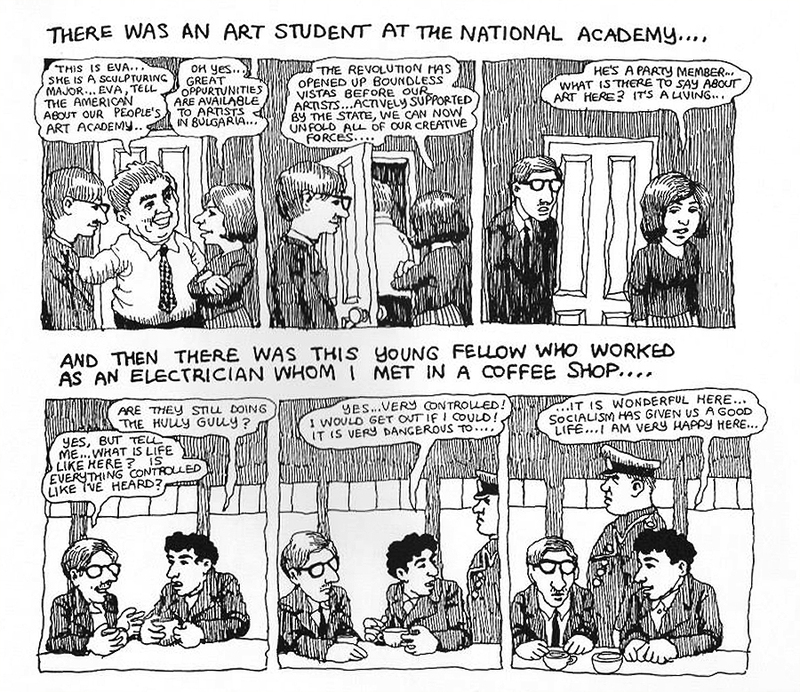 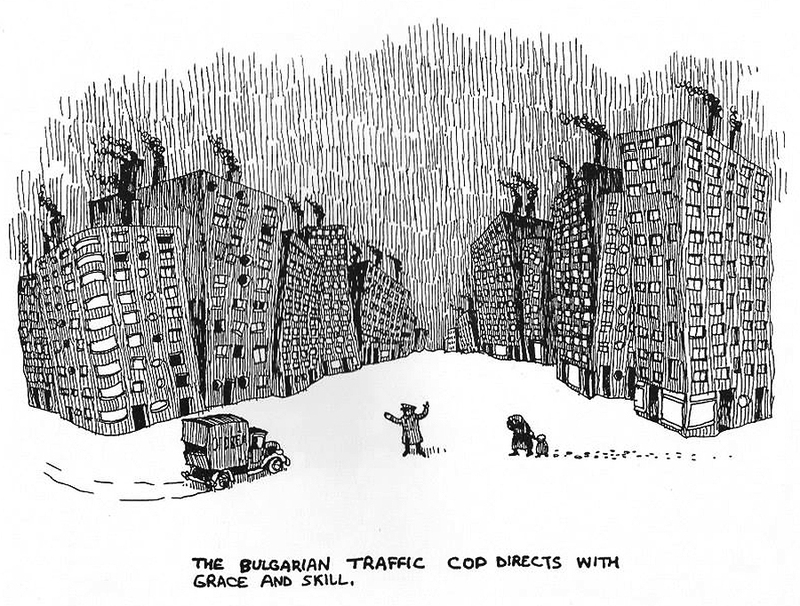 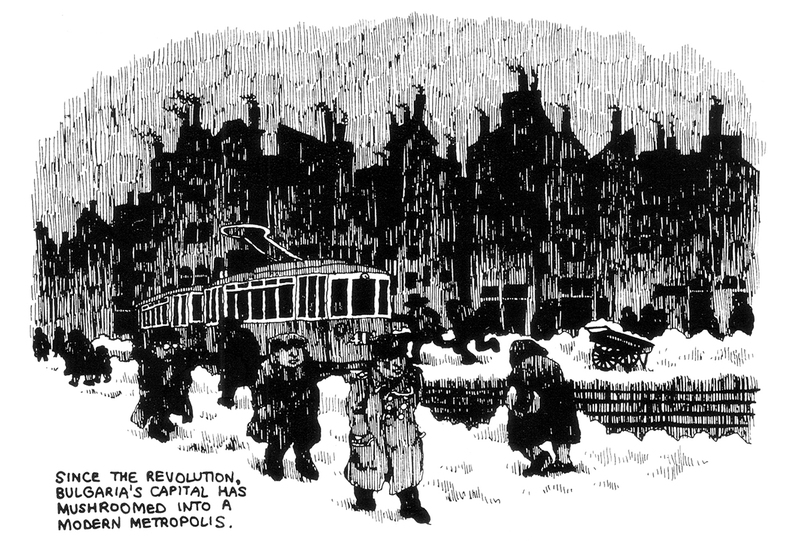 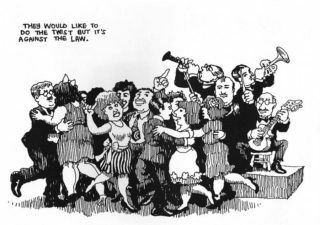 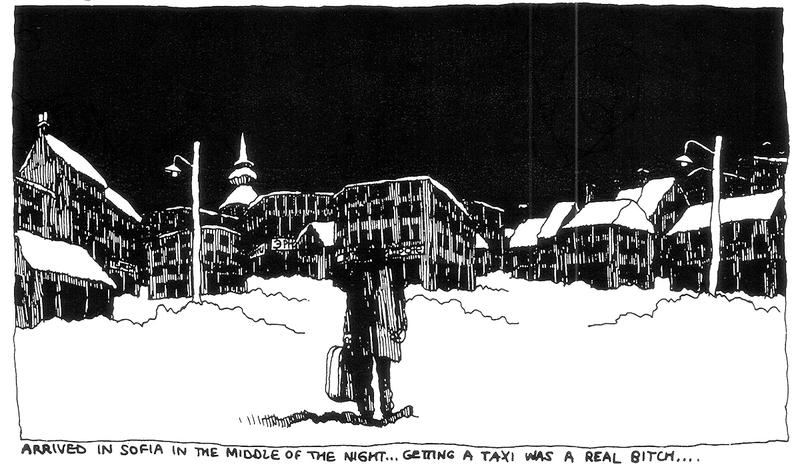 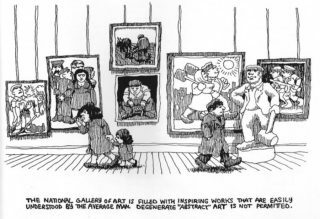 Crumb contributed some early “Fritz the Cat” pages, and a stark documentary cartoon view of the streets of Harlem. Impressed, Kurtzman sent the 21 year-old Robert and his new bride Dana on an unlikely honeymoon assignment to Bulgaria, resulting in grim images of the backward Soviet satellite. Crumb was in the process of moving to New York to become Kurtzman’s new Assistant Editor (replacing future Monty Python member and film director Terry Gilliam) when Help! 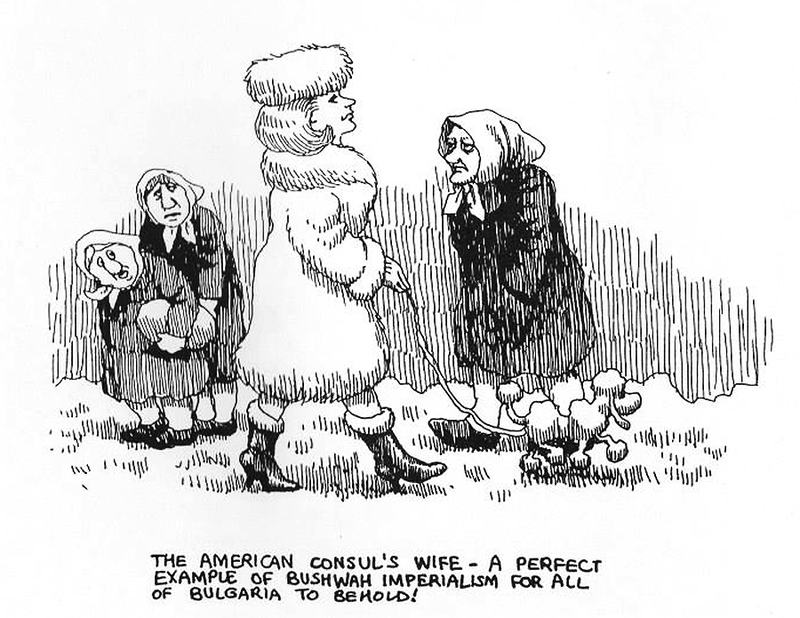 folded in 1965. 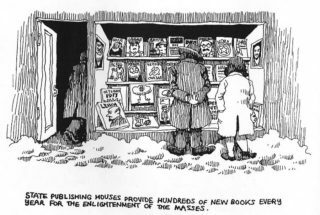 As a side note, Terry Gilliam met John Cleese for the first time at Help!, when Cleese was modeling for a fumetti strip. 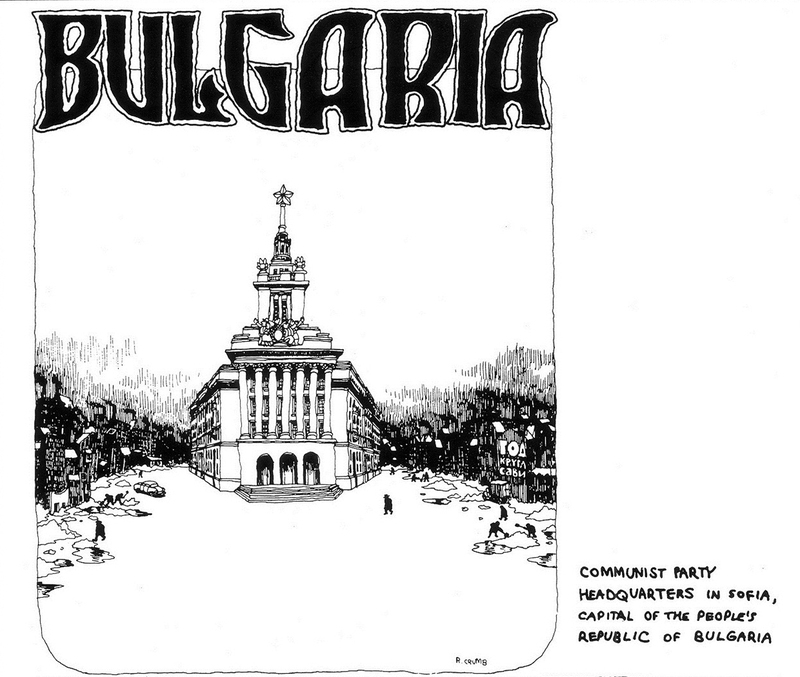 The original series, titled Bulgaria: A Sketchbook Report was first printed in Help! 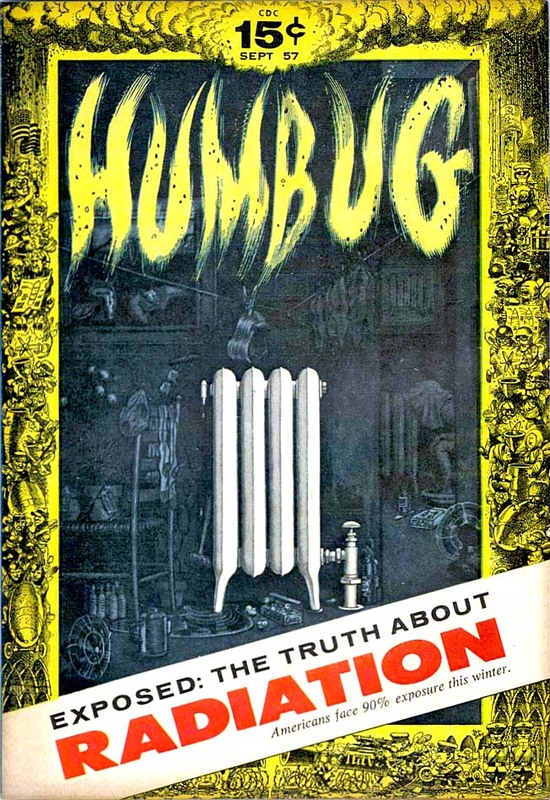 #25, July 1965. 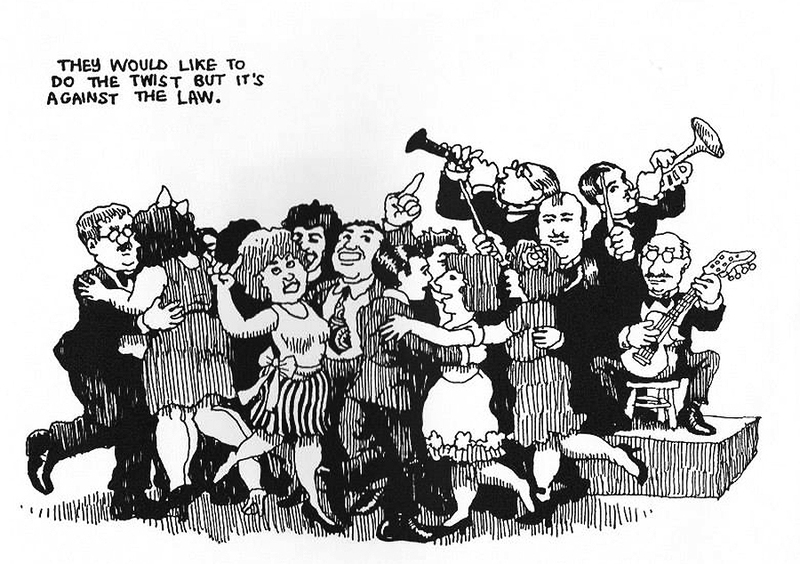 It was later reprinted in The Complete Crumb Comics Vol 3 (1964-1966) Starring Fritz The Cat.